Choreography offers tools for the composition of movements in time and space, and encompasses a wealth of linguistic expressions for action, thought, reflection, and awareness. The Choreography of Sound is the title of one of the research projects from which works were presented in the talk by special guest Gerhard Eckel. Eckel, funnily enough, considers himself neither composer nor choreographer, and the phrase “the choreography of sound” was one that he had first used in a critical sense when describing the all-too-characteristic approach of much multichannel electro-acoustic music: first round the left, then round the right. Eckel’s work, firmly rooted in research, has gradually shifted from using the loudspeaker as medium, to considering it an object in itself, to abandoning it in favour of the electro-mechanical: The use of small computer controlled hammers to activate the structure of a building such as the Dome of Visions in Stockholm, for example. While most of his works take the form of installations, they at times come closer to performance or ‘concert installations’, as in the beautiful On Traces. After the break Niels Bjerg presented Blind – a work for two dancers with portable loudspeakers. Niels composed the electronic soundtrack largely from concrete sounds that he had recorded himself. Given that he works as both dancer/choreographer and musician/composer, the piece demonstrated a seldom-found creative involvement covering all facets, even though it did, as Niels himself admitted, fall a little into the ‘choreography of sound’ aspect Gerhard had referred to. Pelle Skovmand was next on the programme with a quick introduction to some of the work he has done over the last decade, particularly with the choreographer Tina Tarpgaard. Much of that work has been based on camera tracking techniques in order to follow the dancers gestures and movements and trigger sounds depending on where they are in a set space. He gave a quick demonstration using Reaktor and a Kinect to trigger a palette of sounds. Louise Alenius rounded off the presentations with some insights into her less technology dependent approach. She has composed a number of works for the Royal Danish Theatre in recent years, and in fitting with the requirements of this more traditional situation, maintains a clearer distinction between composer and choreographer. She spoke a little about the back-and-forth that nevertheless takes place, and the inspiration that can be found in coming up against something that isn’t ones own. The evening closed with a discussion session led by Kim Helweg. Despite the inspiring philosophical/theoretical common ground that is to found in the extended views of contemporary music and dance, many expressed a wish for better developed practical forums in which these aspects might be explored. 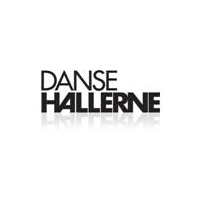 Dansehallerne defines choreography, as an open and inclusive structure that spans a wide array of disciplines, a field of knowledge that encompasses many different arts and practices, for instance dance, circus, performative visual arts and architecture. Choreography as performative practices, operates across media and language boundaries; dialectically and discursively; altering, preserving, transforming. It offers tools for the production of movement, for the process and analysis of the state of art, of creating art; it envisages alternative forms and expressions, spatial as well as conceptual locations in dialogue with both tradition and the world of today – a proactive artistic dimension in society. Choreography offers tools for composition of movements in time and space and encompasses a wealth of linguistic expressions for action, thought, reflection and awareness. 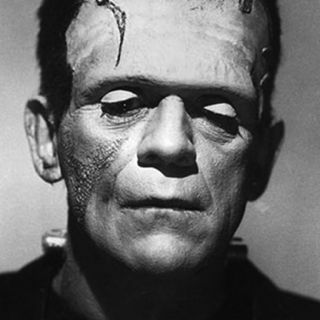 This edition of Frankenstein’s Lab was presented by the Danish Composers’ Society in partnership with Dansehallerne, following the initiative of Niels Bjerg. Organization and coordination by Katrine Dal and Hanne Svejstrup. Johannes Hornberger took care of the sound and Kim Vadskær took the photographs.